Divorce settlements often lead to divisions of property that often tax both parties emotionally and create complicated value disputes. When it comes to jewelry that both carries a substantial personal significance and an appreciable monetary value, a diligent appraisal is essential. Each party who receives jewelry as a part of a settlement has a right to acquire it at a value appropriate to a fairly priced, orderly liquidation….ideally. 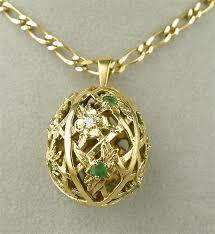 Unfortunately, jewelry doesn’t appreciate in quite the same fashion as cars, real estate and other material properties. A mutually agreed-to appraisal can eliminate questions of favoritism between parties by splitting the cost of the process. Generally, having each party pay for the services of a personal appraiser is a bad idea. Doing so not only doubles the cost when a shared-expense agreement could cut it in half, but then risks contentions between two professionals with variances in their objective, independent assessments. Such disagreements benefit only attorneys, who stand to gain bloated billings as the courtroom process drags onward.